This resource charts the many developments in polar clothing during the period covered by the Freeze Frame collection. It begins by outlining the polar climate and why this makes clothing so vital to the success of an expedition. It then moves on to what happens when polar clothing fails. A failure in polar clothing to meet the demands of the polar climate on the body can have serious consequences for the wearer. The Heroic Age – here we see explorers struggling to meet with the demands of the polar climate. They knew the causes of these problems but were hampered by the lack of truly waterproof and windproof fabrics. The inter-war period – here we see many of the problems of the heroic age still affecting men nearly 50 years later. However, we start to see developments in polar clothing which make it much more suitable for the cold climate. 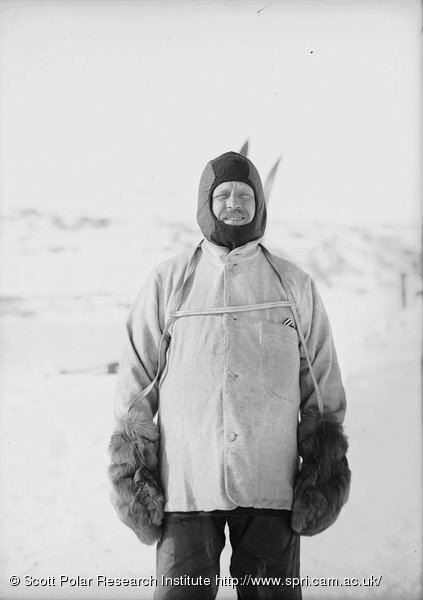 The post-war period – it is here we see significant developments in polar clothing. With a range of new fabrics explorers were able to wear clothing which was waterproof, windproof and insulated. However, this was not always problem free and ways of wearing clothing from the heroic age are still used. We conclude the resource by taking a brief look at what indigenous people of the north wear. For them clothing is not simply about utility but also about the cultural values ascribed to clothing. 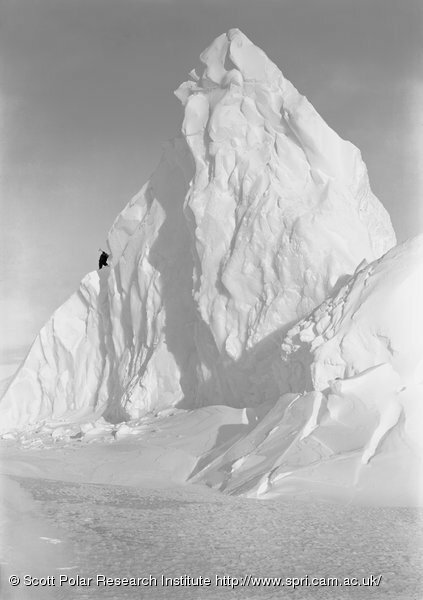 The climate of the polar regions can be extremely harsh if an explorer is not adequately equipped for it. The Arctic and Antarctic make up the polar climatic zone, a region that is perpetually covered by snow and ice. In these high latitudes, the sun’s rays are insufficiently powerful to melt much of the snow and so the cover remains year round. The Antarctic continent covers an area that is about 14.2 million sq km and there is a range of temperatures across the region. At coastal stations winter temperatures range from -10°C to -30°C, in summer temperatures rise to around 0°C and occasionally above. Temperatures inland tend to be much lower, because of the land’s increased elevation, higher latitude and greater distance from the warming effects of the ocean. Here temperatures in summer rarely get above -20°C and in winter monthly averages fall below -60°C. The lowest temperature on the earth’s surface was recorded in the interior of Antarctica at Vostok Station, where a temperature of -89.2°C was recorded. Antarctica has very little precipitation and is the world’s largest desert. The Arctic is around 14 million sq km and has a range of temperatures as it covers land mass and frozen sea. Minimum temperatures are around -32°C and maximum around 2°C in Greenland and northern Siberia. Maximum temperatures on the ice sheet itself are between -5°C and 2°C but highs in the region of 30°C have been recorded on land. Explorers to these regions need to be well equipped to survive in such low temperatures. In the Arctic annual precipitation is usually between 500 and 1000mm, made up mainly of winter snowfall. For both the Arctic and Antarctic we need to take into account the wind-chill factor, which will reduce how high the temperature feels. Both the Arctic and Antarctic have high winds and blizzards, with Antarctica being the windiest continent. Winds are not just problematic in themselves but also due to their effect on a person’s body temperature. Wind chill is the cooling effect that wind has on temperature; it is expressed as a loss of body heat in watts per square metre of skin surface. Without wind there is no wind chill effect. This entry was posted on Thursday, November 6th, 2008 at 11:23 am	and is filed under Clothing, Resources, Survival in Extreme Environments. You can follow any responses to this entry through the RSS 2.0 feed. Both comments and pings are currently closed.